"With Wallmob POS, we received the cash register that best suits our stylish, simple interior." In collaboration with Denmark’s largest sporting goods store, and taking part in FDIH’s 2015 e-commerce award in relation to ‘best omni-channel solution’, our POS is designed with sports in mind - from the aesthetic and sleek look to the informative yet user-friendly design. In sports you never compromise on equipment if you want to outperform your competitors - we firmly believe the same principle applies for your business! With Wallmob POS you will be able to set new personal records in terms of sales performance and customer satisfaction. The Wallmob POS offers great flexibility and mobility, helping stadium vendors, merchandise stores and food vendors to cover more ground and sell more faster, both inside and outside the stadium area - ensuring that the stadium visitors don't miss what they came for. The POS is ideal for that time during match breaks where hungry and thirsty visitors scour the stadium area for drinks and snacks. Here, food stands can open up as many cash registers as needed, and close them when the peak period over the half-time is over. With Wallmob POS, we received the cash register that best suits our stylish, simple interior. We had demands for the usability and the possibility for flexible design of our products. 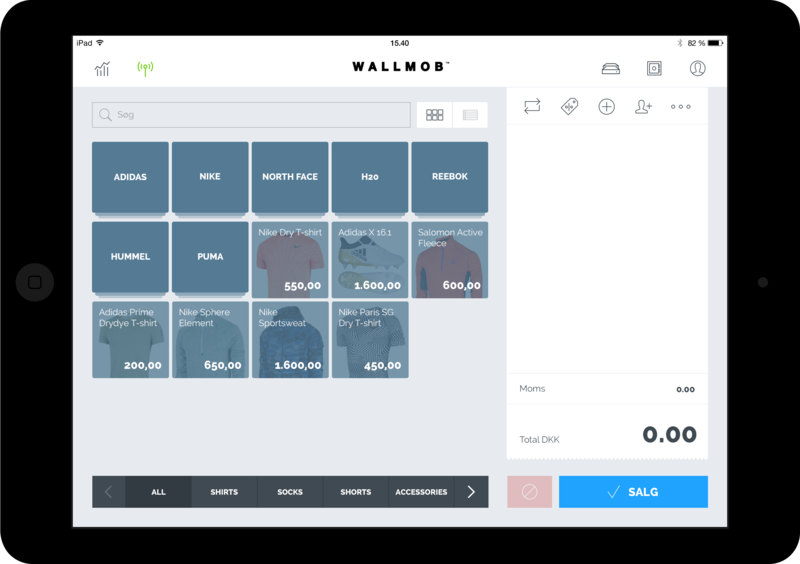 Wallmob POS's design and usage fit together perfectly and fulfill our demands for a cash register system.